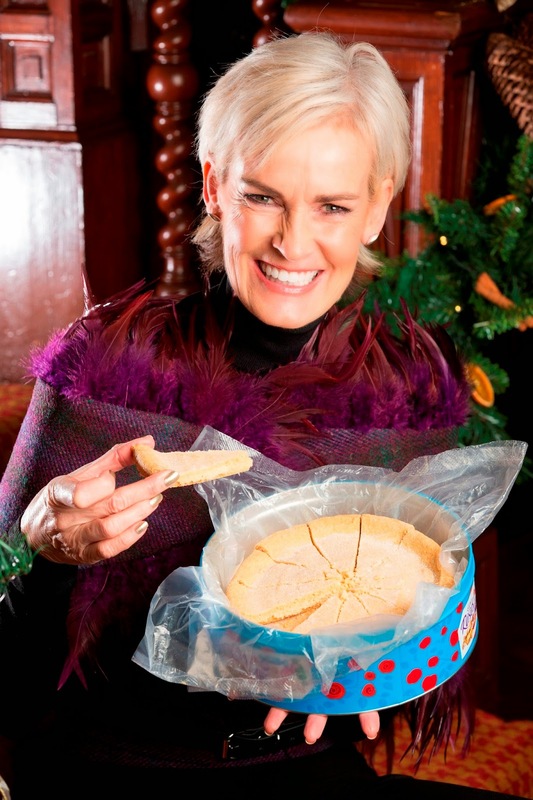 Tennis coach and Strictly star Judy Murray has worked with Harris Tweed Hebrides to produce a bespoke Harris Tweed for her son Andy’s Perthshire hotel, Cromlix. Cromlix’s new Harris Tweed – inspired by the famous Wimbledon colours purple and green – has been used by three renowned Scottish-based designers Catherine Aitken, Gráinne Broderick and Katherine Emtage, to craft a contemporary accessory gift range which will be available to purchase at the luxury hotel. 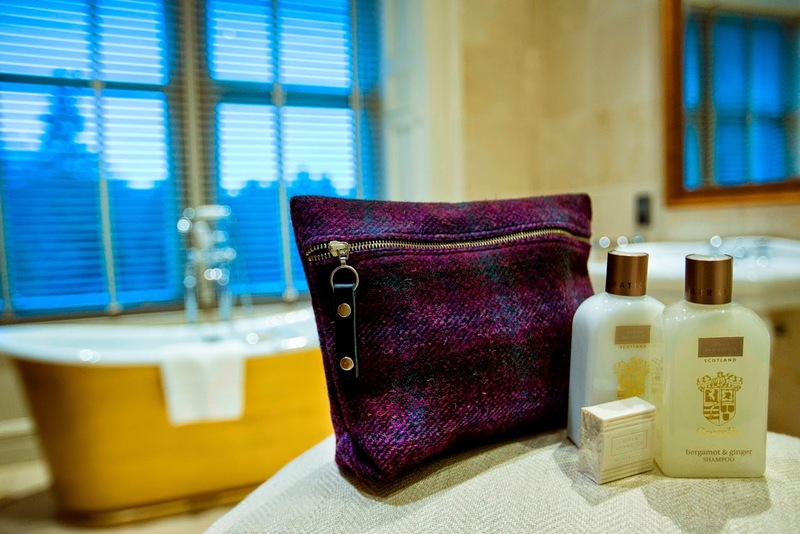 The range – The Cromlix Collection – includes a clutch bag, a messenger bag, a ladies handbag as well as a clip fastening change purse, ‘his and hers’ toiletry bags and Harris Tweed cufflinks set in sterling silver. For modern-day gadgets there is also an iPad and iPhone 6 cover, and a cushion cover and tea cosy for the home. Instrumental in the development of the new range, Catherine said: “This is a beautiful Harris Tweed to work with, boasting rich and striking colours. It was a pleasure to transform it in to a range of luxury accessories along with my fellow Edinburgh designers. 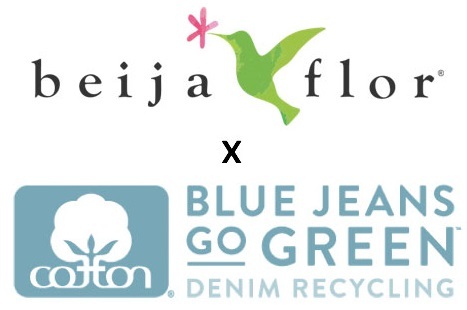 Each item has been carefully handcrafted by all the talented designers blending both traditional and modern techniques. It is this ancient process that defines all cloth officially certified with the world-renowned Harris Tweed Orb symbol making it genuine Harris Tweed – the world’s only commercially produced hand woven tweed. Speaking of the collaboration, Ian A Mackenzie, chief executive, Harris Tweed Hebrides, said: “The popularity of Harris Tweed continues to soar across the globe. Harris Tweed Hebrides has driven the recent renaissance of this unique Hebridean fabric over the past couple of years. It is very fitting that such a historic Scottish destination has its own bespoke Harris Tweed design. The Cromlix Collection will be available to purchase exclusively from the hotel which boasts five suites and ten bedrooms, a gate lodge, a chapel, reception hall, two drawing rooms, conservatory, library and meeting rooms. Edinburgh based designer Catherine Aitken creates ladies and gents accessories from Harris Tweed, waxed cotton and leather with splashes of taffeta and silk - combining the softness and tactility of the local heritage materials with harsh leathers and kilt pins. This gives her collections a flamboyant Scottish edge but also a contemporary fashion twist that blends trend and tradition. Her designs are stocked in the British Museum and Jenners, Edinburgh’s oldest department store as well as boutiques throughout the UK. 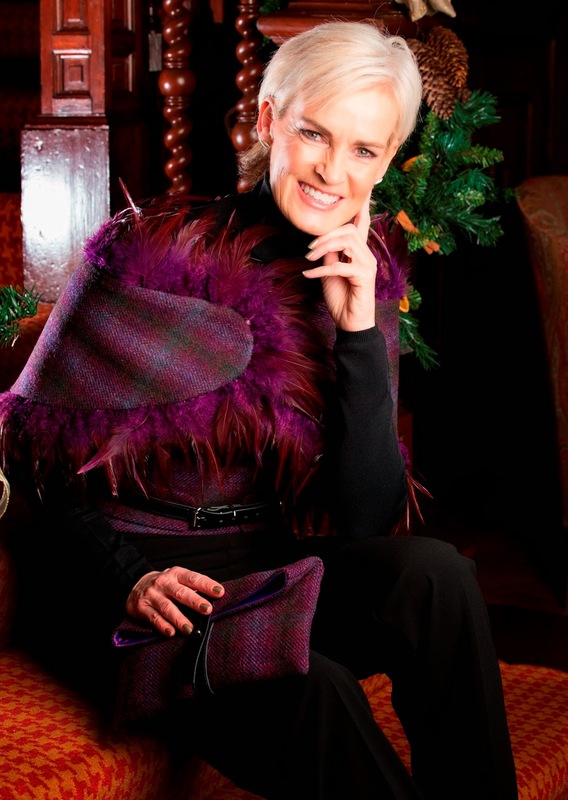 Katherine Emtage has been producing clothing and accessory products made from the finest of Scottish tweeds since 2005. Her brightly coloured designs come in a variety of shapes and sizes from shoulder bags and satchels to coin purses and corsages. Each product is lovingly handmade in an Edinburgh studio where Katherine works with a small team. Jeweller Gráinne Broderick is inspired by ancient and classical symbolism, mythology, and various forms of sculpture, especially in wrought iron and the fusion of art and fashion. All her work is individually designed and hand formed and she is passionate about creating unique statement pieces which allow the wearer to express their own creativity. Grainne exhibits in galleries throughout the UK. The Cromlix Collection is exclusive to Andy Murray’s Perthshire hotel which boasts five suites and ten bedrooms, a gate lodge, a chapel, reception hall, two drawing rooms, conservatory, library and meeting rooms. Prices for The Cromlix Collection, in the new exclusive Harris Tweed, start at £25.00. Learn more about Harris Tweed here on Apparel Search. · It is the only fabric in the world which is protected by its own Act of Parliament. The Harris Tweed Act, updated at Westminster in 1993, guarantees that genuine Harris Tweed can only be made in the Outer Hebrides of Scotland. · Harris Tweed must be “handwoven by the islanders at their own homes in the Outer Hebrides”. This guarantees that it remains a cottage industry allowing self-employed weavers to determine their own work schedule, traditionally to fit with the demands of crofting agriculture. · There are only 140 Harris Tweed weavers, most of them passing down skills from one generation to the next. The recent revival of the industry is slowly transforming the age profile of the weavers, many of whom are in their sixties and seventies. The newest approved weaver is 19 years of age. · The Orb symbol which authenticates Harris Tweed is the oldest British trade mark in continuous use. The Harris Tweed Authority works around the world to protect the name Harris Tweed and the Orb from unauthorized use. · Harris Tweed is made from pure virgin wool. Unlike most other fabrics, the wool is dyed rather than the yarn or finished cloth, giving Harris Tweed its depth and richness of colour.